Could your future home be built in 3 days, with its own drone helipad? Making waves in the media recently, nHouse have raised over a quarter-million pounds already via crowdfunding campaigns to support their project to bring in a very futuristic new way of creating affordable housing. The company create pre-fabricated houses off-site for Property Developers, Housing Associations and Local Authorities and claim to be able to deliver the components of the house within just 5 months and once on-site, erect a turnkey property within 3 days. 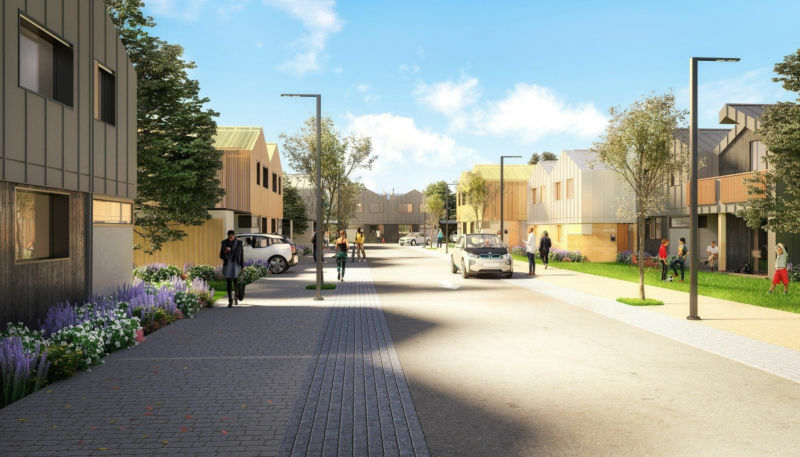 The houses have been designed by Richard Hywel Evans, an award-winning architect with a passion for providing eco-friendly, high-spec, spacious homes at an affordable cost. The components of an nHouse can be set up as a terraced, semi-detached or detached house depending on the land space available. The “instruction manual” for the homes state that the minimum site space needed for an nHouse is just 10m x 18m; and that the nHouse can be built anywhere, even on stilts over water. The average cost for the nHouse is thought to be around the £195,000 mark. But before we all rush to buy a house to put into our parents’ garden; - unfortunately the pre-fab house can only be purchased in bulk by developers whom have all the necessary qualifications, insurance, permissions and more essentially, land. However, having shorter turn-around times, less wastage, less cost involved in home building is only a good thing for our economy. Developers are much more likely to be able to offer shared-ownership properties to the market if they can keep build costs down. In the South East of England shared-ownership properties are in huge demand. It’s no surprise that first-time-buyers are jumping at the chance to own new-build luxury apartments in Brighton, such as Sirius at The Boardwalk, for under £100k for a share of the lease. Like all new build properties, the nHouse is designed to be energy efficient, saving costs in the longer term. Some of the high-tech features in the nHouse homes include a car charging port for electric cars, solar roofing, a car and house battery pack for generating and storing electricity; and not least a “drone delivery pad” for all those Amazon orders…. The fully pre-fabricated houses will come ready with fitted kitchens and bathrooms, carpet and flooring, LED lighting, power sockets and all the essentials. So, when the pre-fab nHouse arrives, it is literally ready to move into a soon as the walls are up and the roof is on. If you’re a developer looking to purchase land or would like Professional Advice on building on your existing land, please contact our Land and New Homes team on 01273 627414.